Using video is great, but if nobody watches them, then what’s the point of filming them in the first place? If you’re going to commit to using real estate videos as part of your marketing strategy, then you need to have a video distribution plan in place so you can get the most mileage out of them! In this post I want to share with you my video distribution checklist. Video is a brand building activity. Yes, you can get leads from your real estate videos, but it’s a brand building activity. Video marketing is about playing the long game and using video as a strategy to attract and convert more clients. You might also want to check out this article: 5 types of real estate videos to create. Let’s go through what we do after each video we create. The first thing I want to do with my real estate videos is get them distributed to my database as fast as possible. Using video to market your database is a very powerful referral generating activity because it keeps you top of mind. Video builds your brand because of its impact with viewers. It leaves a longer lasting impression when compared to other communication channels. Marketing your database successfully for referrals is all about being remembered and maintaining top of mind brand awareness. It’s about associating your brand with the term “real estate”. When this is accomplished you will begin receiving more referrals. Simple. 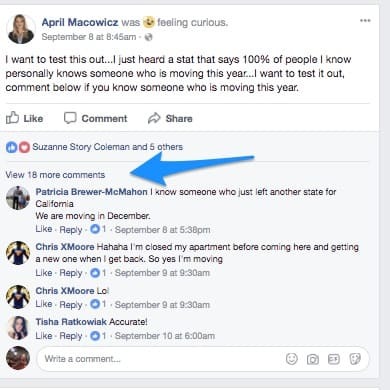 10-15% of the people in your database are moving this year. Reminding them what you do for a living increases your chances of receiving their direct business. More importantly EVERY single one of them knows someone who could use your services this year. Video’s impact creates a higher top of mind brand awareness making it easier for you to be “remembered” at the time a referral opportunity arises. I like providing case studies with everything I write about to put it into context. This Realtor did a 30 second real estate video about her services. She used green screen editing to jazz it up a bit so it wasn’t a boring talking head video. She received 3 referrals in a 24 hour period last I checked. 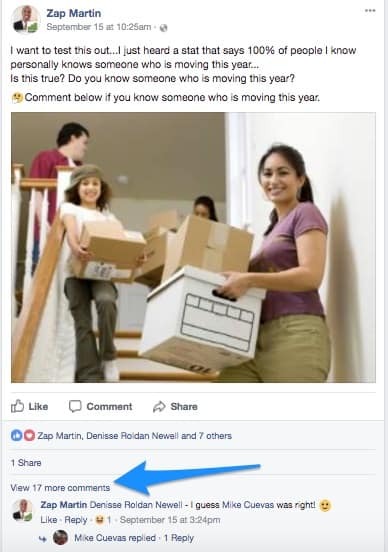 Simple 100% of the people she knows know’s someone who is moving this year. She just popped up in the right place at the right time. This is literally mathematical. 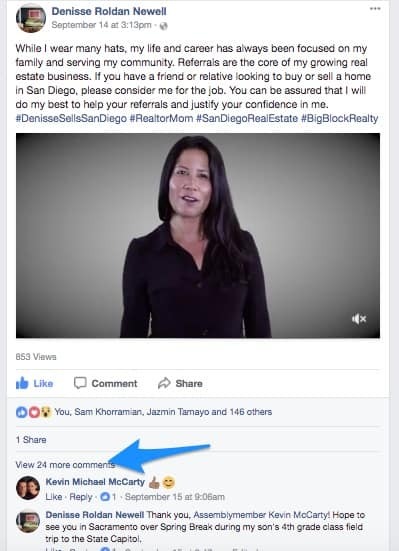 It was her real estate videos impact that created the engagement, which created the referrals. Here are two more example from two more agents. I told them the same statistics. 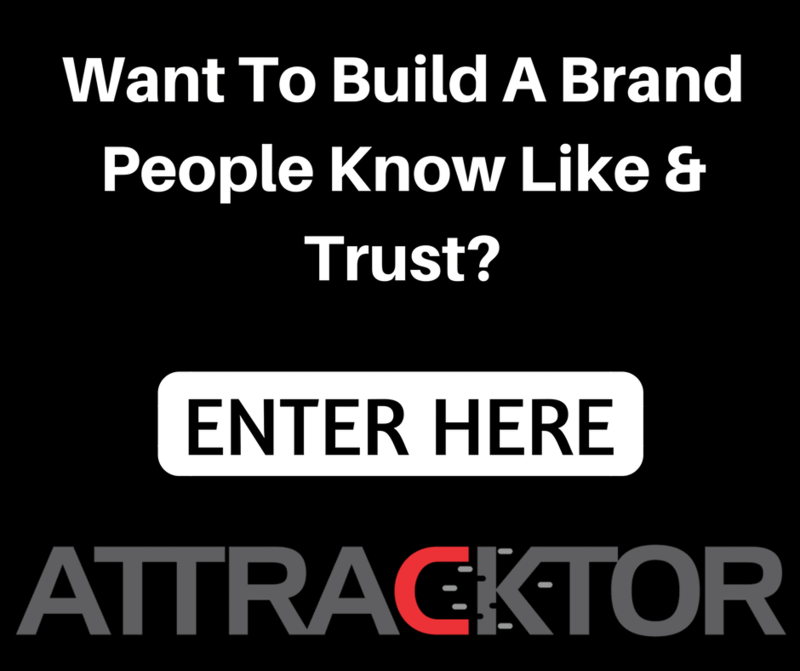 14.19% of your network is moving, but 100% of them knows someone they can refer you to. So they did a little test on their timelines. Over 90% of the replies was YES, I know someone moving this year. The exact same results occurred right here. The business is right in front of you if you open your eyes! Using real estate videos creates a larger impact allowing you to stand out because 90% of your competitors are not! Once you have your video on all of your social media platforms, you can now send your database the video via email. Currently we use a service called BombBomb(we have integrated inside Attracktor) to do this, but there are many video email platforms out there. Regardless of which service you use, just start using video email for ALL email marketing efforts! It’s proven that video email has higher open and engagement rates, which in English means more people see your real estate videos. People don’t want your “Turn back the clock” spammy emails. If the content you create is entertaining and informative, your database starts to look forward to seeing your content. The goal with your video is to remind people what you do for a living without being a cheesy sales person. The video increases your open rates while at the same time allow you to humanize your brand. Video connects much better than just plain text and that’s why it works. It’s about connecting with people. Making real estate videos is a long term strategy. Each video you create should go on your website. It will live there forever. My old website, www.ChicagoRealEstateDude.com, has a video on every page. The reason I did this was because I wanted to give people an idea of who I am. I know that video connects much better with someone than anything else. I want people to feel comfortable calling me. Buyers and sellers would call me direct from my website because we connected. It’s job is to warm people up and break down all sales barriers. Don’t you want to know the personality type of the person you will be doing business with? Of course you do which is what video does for you. Make sure there’s a spot for all your real estate videos to be placed on your website. Help us get the word out by sharing this post at the top or bottom of this page! If you have any questions just post a comment and we’ll get back to you! Great job Mike. Yes… video is a great tool. My team and I use it heavily in all medium, BombBomb, social, etc. Thank you so much for the valuable tips. Please email me the Marketing Checklist.